'The death was an odd one, it was true; but there was after all no very clear reason to assume it was anything but natural.' In the winter of 1942, England lies cold and dark in the wartime blackout. One bleak evening, Councillor Grayling steps off the 6.12 from Euston, carrying GBP120 in cash, and oblivious to the fate that awaits him in the snow-covered suburbs. Inspector Holly draws up a list of Grayling's fellow passengers: his distrusted employee Charles Evetts, the charming Hugh Rolandson, and an unknown refugee from Nazi Germany, among others. Inspector Holly will soon discover that each passenger harbours their own dark secrets, and that the councillor had more than one enemy among them. 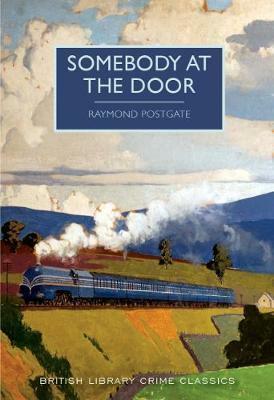 First published in 1943, Raymond Postgate's wartime murder mystery combines thrilling detection with rich characters and a fascinating depiction of life on the home front.